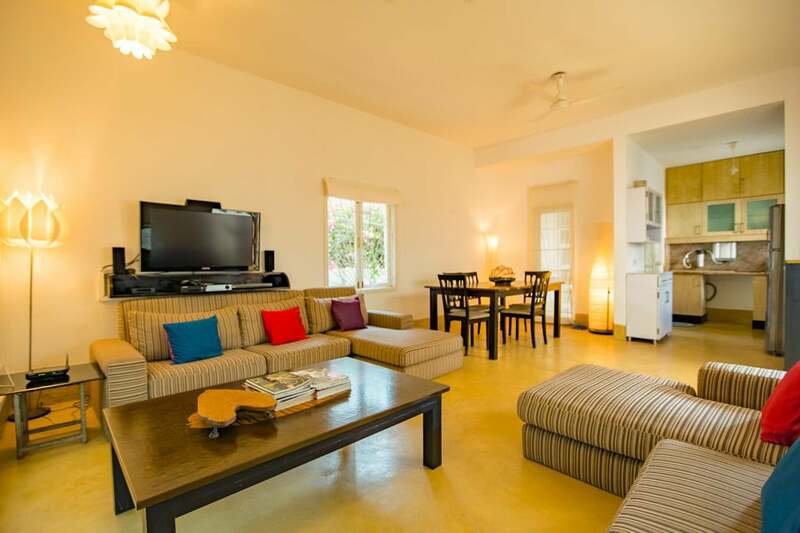 Well located spacious luxury villa ideal all year round. 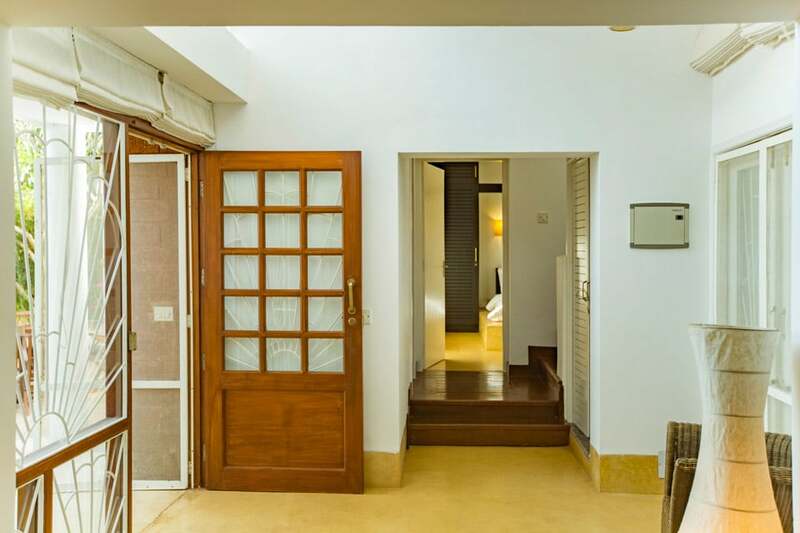 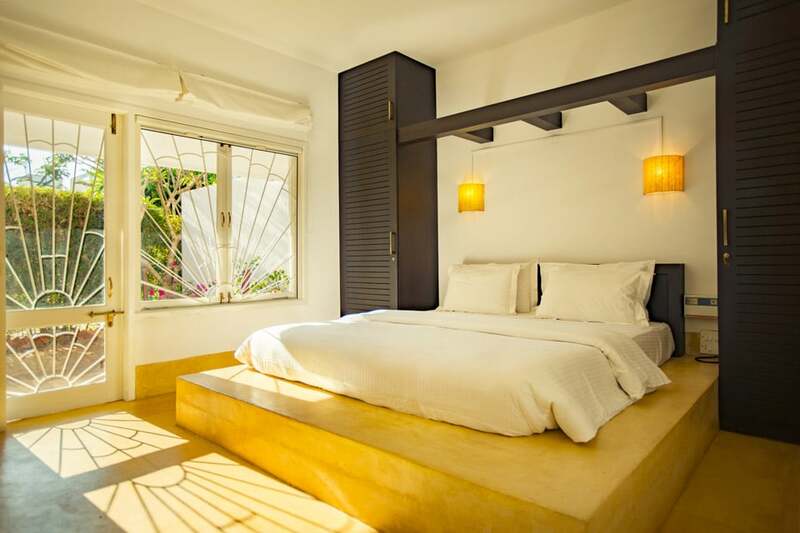 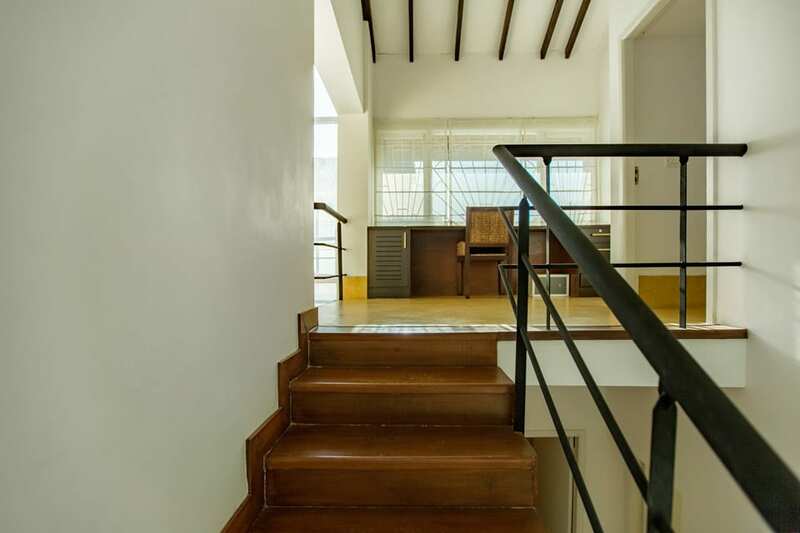 Located in a gated community in Candolim, the villa is conveniently situated offering easy access to beaches, restaurants, cafes, shopping centres and Goa’s night life. 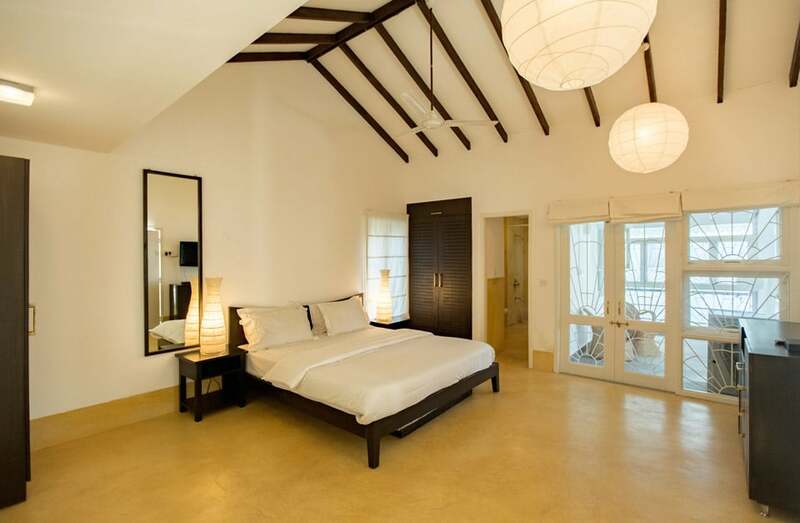 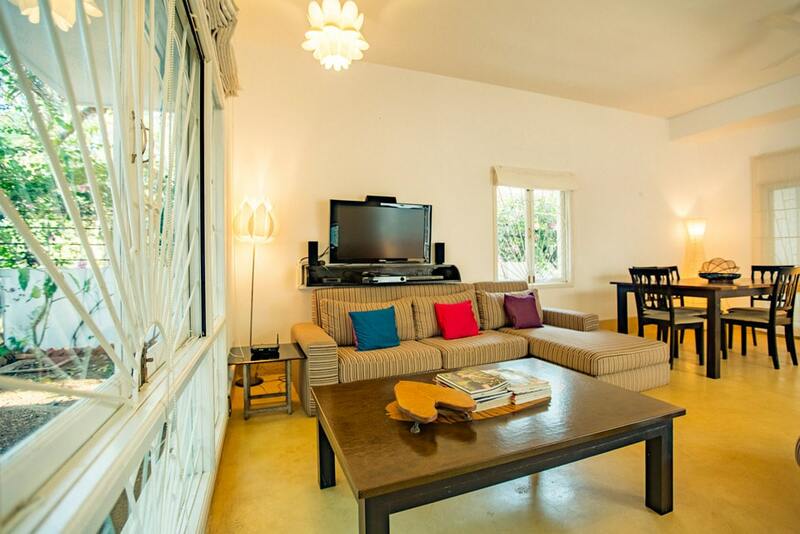 With modern amenities available, this villa is well suited all year round. 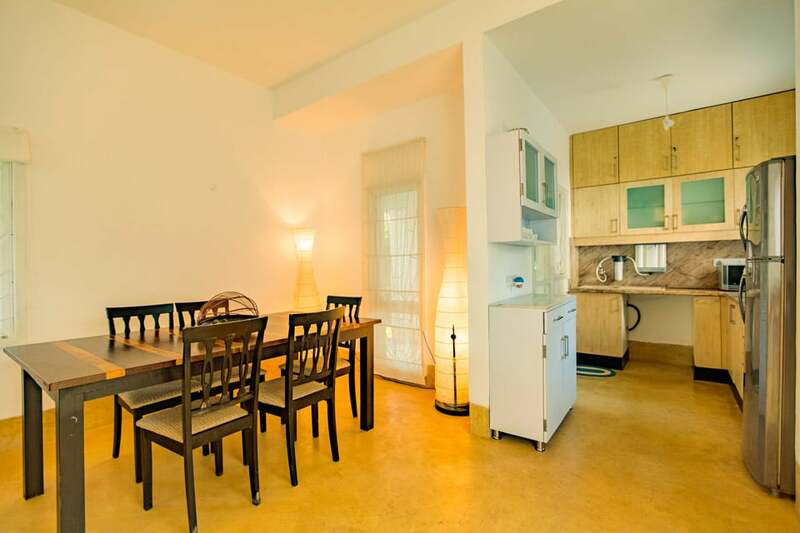 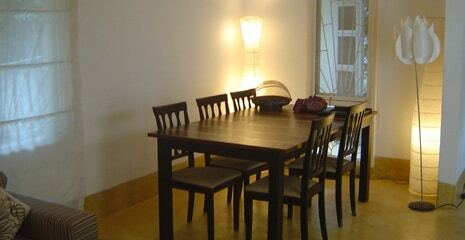 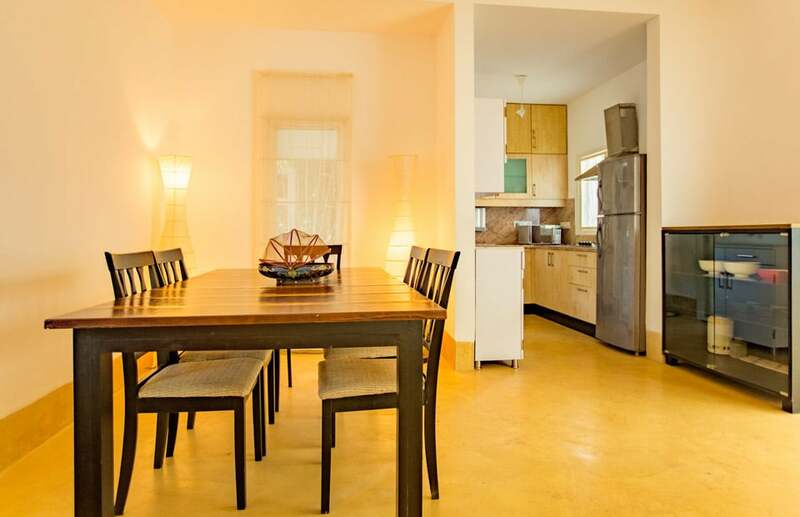 The large living and dining room located on the ground floor has an attached kitchenette. 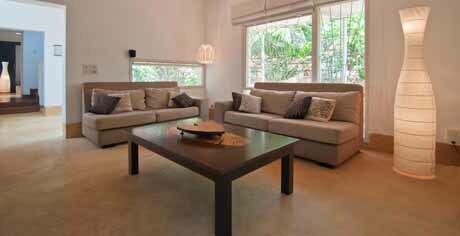 The living space opens on to a shaded, sit-out facing the pool. 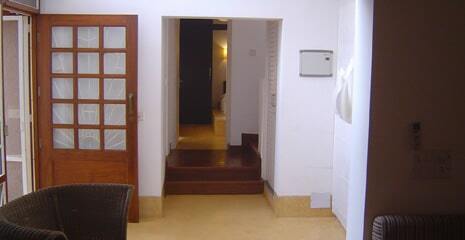 One bedroom is located on the ground floor. 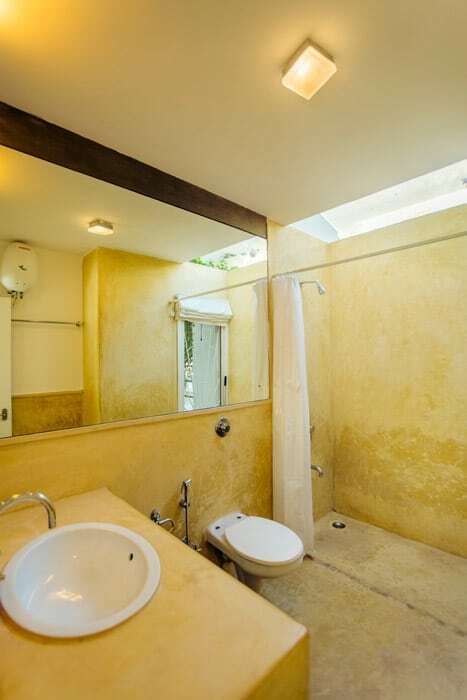 The remaining two bedrooms are on the first floor. 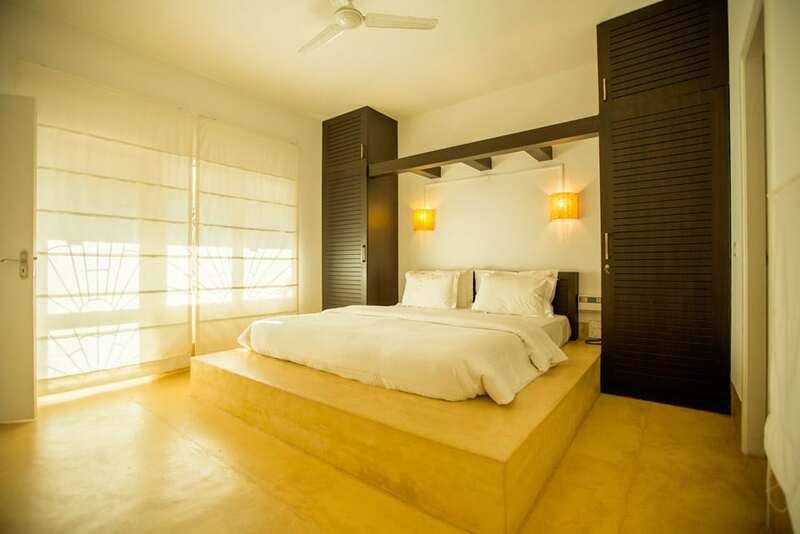 The en-suite master bedroom with its double king size bed is located on the first floor. 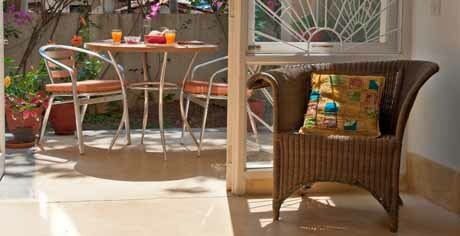 The room opens on to a verandah ideal for sitting out in the evening. 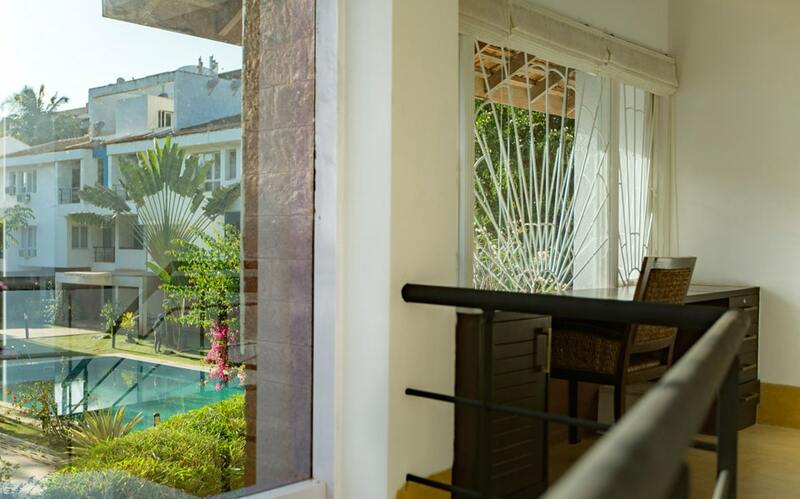 Large windows let in natural light and offer a view over the pool. 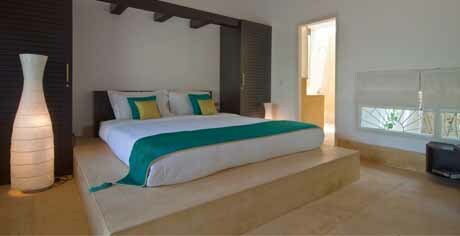 An en-suite bedroom located on the ground floor is accessed via the living room. 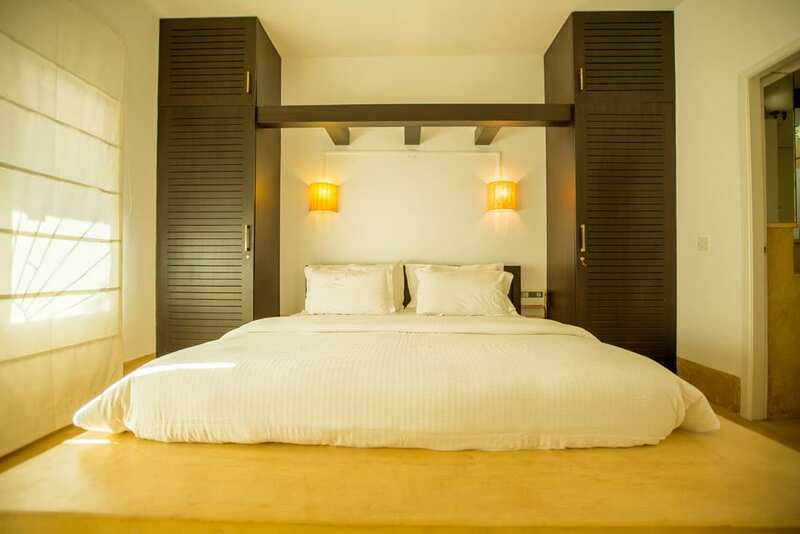 Ample natural light and uncluttered space define this room with its large IPS double bed, slatted wardrobes and minimalist accents. 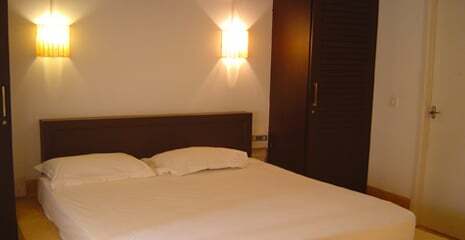 A third en-suite bedroom located on the first floor has a comfortable king size bed. 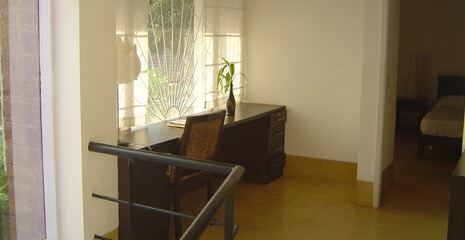 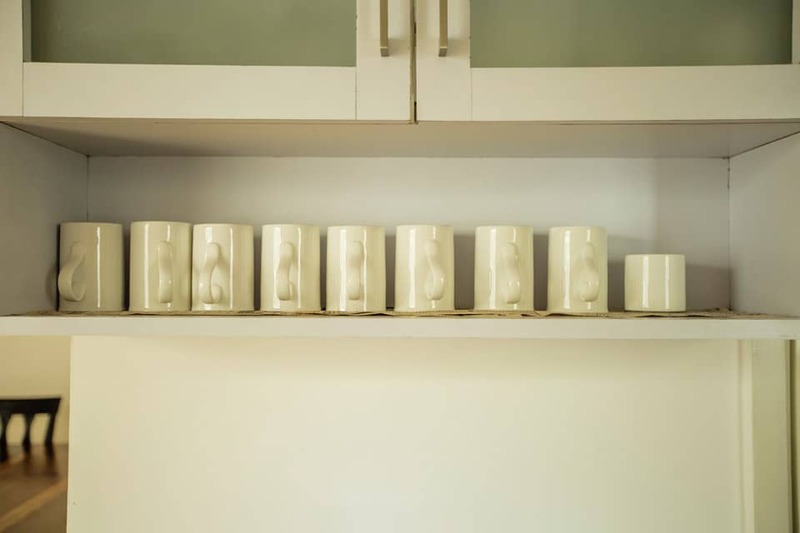 The minimalist theme is once again repeated imparting a relaxing ambience.